Mizoram Election Result 2018: Counting of votes for the 40-member Mizoram Assembly will begin from 8 am today amid elaborate security arrangements. Mizoram Election Result 2018: Exit polls have predicted Mizoram could see the formation of a hung house. 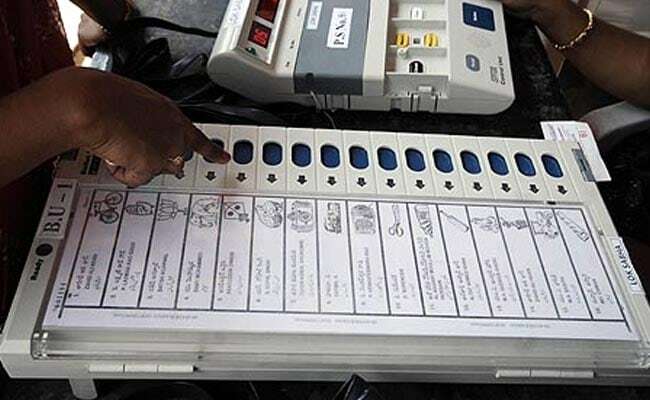 The results of the assembly election in Mizoram-- along with those of Chhattisgarh, Madhya Pradesh, Telangana and Rajasthan-- are set to be out today. The Mizoram polls hold significance for the Congress as the Grand Old Party is protecting its last bastion in the Northeast as Mizoram is the only remaining state there that is not under the rule of the BJP-led NDA government. The Mizoram assembly election was held on November 28 and its result of the polls today will decide whether Chief Minister Lal Thanhawla of the Congress will be able to return for a third consecutive term in office. Counting of votes for the 40-member Mizoram Assembly will begin from 8 am today amid elaborate security arrangements. Counting for the Mizoram assembly elections will begin at 13 counting centres in the eight district headquarters. There would be a three-layer security cordon manned by eight companies of the Central Armed Police Force (CAPF), the state armed police and unarmed police personnel during the counting, officials said. 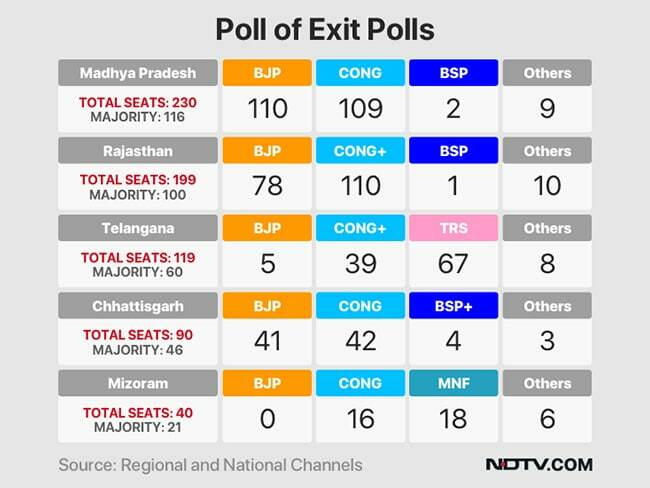 Exit polls have predicted that Mizoram could see the formation of a hung house. Exit polls suggest that the Mizo National Front (MNF) will trump the ruling Congress by a slim margin but fall short of the majority mark of 21 in the 40-member Mizoram assembly. 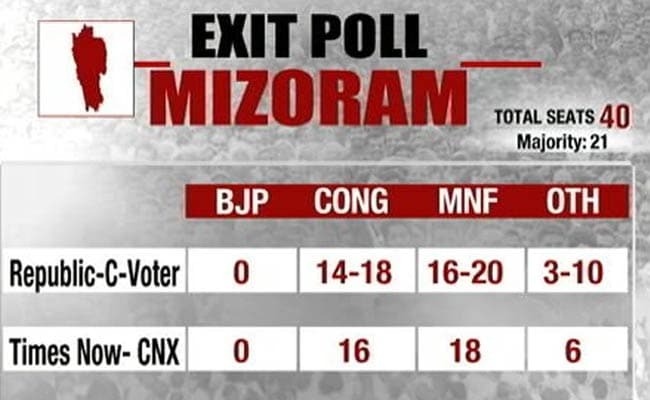 Even though different exit polls predicted different numbers of seats being won by the Congress and the MNF, they all agreed on one prediction that the BJP isn't getting lucky in this Mizoram assembly elections. The MNF is an ally of the BJP-led National Democratic Alliance (NDA) but the two parties decided to fight the Mizoram assembly elections separately. In the 2013 elections, the Congress had won 34 seats in the Mizoram polls, while its main opposition MNF got five. The Mizoram People's Conference had won one seat.